“Incredible local knowledge, clear, concise presentations and quality of wines"
"Matthew’s passion and genuine warmth made the classroom experience wonderful"
"Very good knowledge of region, Matthew is also good at managing various knowledge levels amongst the group"
"Overall one of the best classes/presentations I have attended." 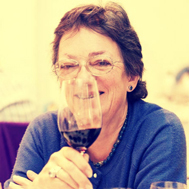 Rosemary George was lured into the wine trade by a glass of the Wine Society’s champagne at a job interview and subsequently became one of the first women to become a Master of Wine, back in 1979. She has been a freelance wine writer since 1981 and is the author of eleven books, including French Country Wine which first took her to the south of France. Back in the mid-1980s, she realised that this was a region of enormous potential and consequently went on to write The Wines of the South of France, which was published in 2001, and covers the vineyards between from Banyuls and Bellet, from the Spanish to the Italian border, and also Corsica. This was the beginning of her enthusiasm for the Languedoc and she now has a holiday home there and writes a blog on the region: www.tastelanguedoc.blogspot.com She is also the panel chairman for Languedoc-Roussillon for Decanter’s World Wine Awards. She contributes to various magazines such as Decanter, India Sommelier and www.zesterdaily.com She is also Vice-President of the Circle of Wine Writers. Andrew has been a freelance drinks journalist and broadcaster since the 1980s expressing his passion about the business through many avenues including the Evening Standard and BBC Radio Four. He has written twelve books including the widely admired The New France, Peat Smoke and Spirit, and the Andrew Jefford's Wine Course. During 2009, Andrew was a Senior Research Fellow at the University of Adelaide, and served as Wine Writer in Residence to the Wine 2030 Research Network. In May 2010, Andrew and his family then moved from Australia to the Languedoc where they now live, within sight of Pic St Loup. Andrew spends as much time as he can in the Languedoc vineyards, and has chaired the Languedoc-Roussillon panel for the Decanter World Wine Awards for the past eight years. 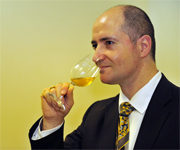 He has won a number of distinctions for his work, including eight Glenfiddich Awards and six Roederer Awards. Jay has been involved in the wine industry for nearly 30 years. He owns Rock Creek Wine Merchants LLC. and The Capital Wine School, www.capitalwineschool.com. 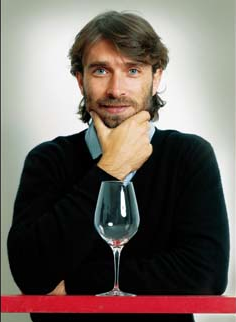 He is a Certified Burgundy Wine Educator, an Advanced Level Sommelier, a Certified Wine Educator, and a Master of Wine. Jay is the 21st American to pass the MW exam, considered the most difficult of its kind in the world. His dissertation was on cool climate viticulture. He also won the Vina Errazuriz award for an outstanding paper on the business of wine. Dominique Laporte became the Best Young Sommelier of France in 1997, Master of Port International in 1998, Best Sommelier of France in 2004, Meilleur Ouvrier de France in the same year and finally 3rd Best Sommelier of Europe (Trophée Ruinart) in 2004. He has worked for numerous restaurants of renown such as Taillevent (Paris), Alain Senderens (Lucas Carton, Paris), Connaught (Gordon Ramsay, London), and Meurice (Yannick Alleno, Paris). Native of the Languedoc, he has now returned to Montpellier, where he launched “L’Ecole du Vin Dominique Laporte”. In addition to teaching, he runs a consultant company specializing in wine list design, tastings, wine dinners, and wine events. Since 2009, he has delivered many training seminars for Sud de France both in the Languedoc and around the world. Jessica Poole works for Sud de France in London, the umbrella brand that brings together the best of Languedoc-Roussillon’s industries including wine, food and tourism. As Press and Promotions Manager for the tourism sector, she tirelessly promotes Languedoc-Roussillon as a must-see destination to the British press as well as tour operators, providing them with all the information they need, setting up and accompanying trips to the region, and working hard to raise the profile of this diverse and beautiful region of France. Although raised in the UK, half English and half French Jessica has family in Languedoc-Roussillon and grew up taking regular trips to the region, igniting her love of the area from a young age. A massive Francophile, she now hopes to share her love and passion for the area, and spread the word about Languedoc-Roussillon and all the many wonders it has to offer. Eric Aracil is an agronomist, oenologist and instructor at the Agriculture Center for Education of Perpignan. Currently, he is the Export Manager at the Conseil Interprofessionnel des Vins du Roussillon (CIVR).